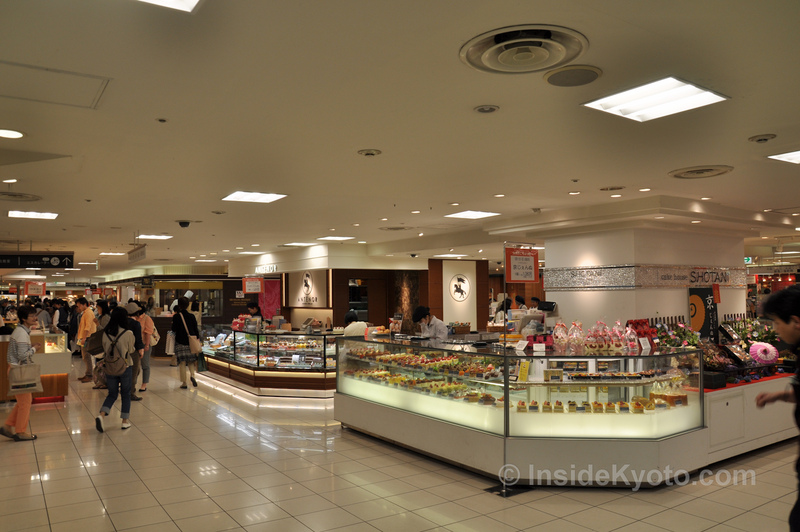 Daimaru Department Store’s basement food floor is arguably the best food market in the entire city. Japan’s department stores are famed for their “depachika,” a word formed from the English word “department” (as in “department store”) and the Japanese word “chika,” which means “basement.” Invariably located on the basement floors of larger department stores, a proper depachika is a wonder to behold, and the one at Kyoto’s Daimaru Department store is among the best in the country. It boasts an astonishing selection of fresh produce, meat, fish, wines, tea, Western pastries, wagashi (Japanese sweets), and some truly delectable prepared foods (great for self-catering). Keep your eyes peeled for the US$100 melons and the US$200 mangoes. See also more info on the Daimaru Department Store and the 8th floor eating area – the Daimaru Resutoran-gai. :: Check availability and pricing for hotels near to Daimaru on Booking.com or Agoda.com. Daimaru Basement Food Floor is located in Kyoto’s Downtown district. See our complete list of things to do in Downtown Kyoto, including places to eat, nightlife and places to stay.